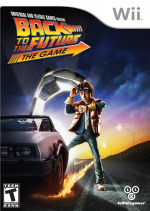 Telltale's Back to the Future game captured the imagination as soon as it was announced, and now we have the first behind the scenes footage to reveal concept art, character models and a little bit about the game's plot. This is just the first part of a series of behind the scenes videos, with the promise of regular extra videos, leading up to the premiere of the trailer on December 2nd. Is this WiiWare only or is it going to be available for PC too? 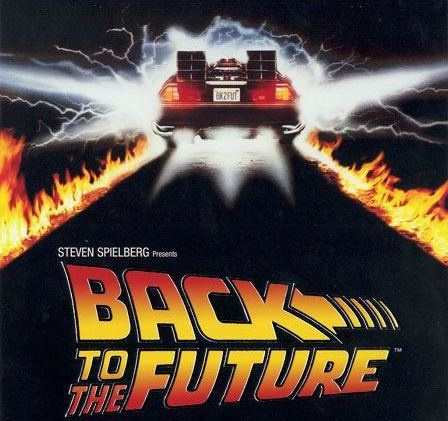 Back to the Future 4 episode 1? Isn't it about time we saw some solid gameplay? It was announced ages ago! I mean, these videos are building hype toward, what, just a trailer? @1 It's gonna be on PC/Mac (via Steam and Telltale) and WiiWare. It will also probs be on 360 and PS3. @4 How many games are announced (a few months, not ages) in advanced and take a while for there to be any real info on them. On Topic: I really don't like how it's going to a 3-D after the concept art was revealed. Man I love the Back to the Future series (can't wait for the blu-ray on Tuesday!) and it was awesome seeing Christopher Lloyd is involved. I am kind of with Aviator on this one...I was hoping it would stay with that dark, 2-D art, that was pretty slick. Nevertheless, I am sure I will wanna try this out. Sweet, they got Christopher Lloyd to do the voice acting and inspirator for the game, that is awesome. Man we do need a good Back to the Future game/games to overlook that horrid NES game! Where were going we don't need any roads! @benanen If you look at the rest of Telltale's catalogue you'll know exactly what sort of gameplay it has. It's being built using the Telltale Tool, with which they made Tales of Monkey Island, Sam & Max and Strong Bad's Cool Game For Attractive People. Yes, Doc, we do have a lot of catching up to do! When I get the DeLoreon, I'm going back in time and stoping Universal Studios from taking down the Back to the Future rides and replacing them with those hokey Simpsons rides! Those things need to make like a tree and get outta here! Wow this is heavy!.... I'm gonna go insane! @Sadman Well, that's what I heard at least for the PC version of the game. Is going to be a point and click adventure game? @9 The SNES game wasn't so bad! The DeLorean? That was destroyed. Doc Brown's got a time-traveling steam engine train now. If only it weren't episodic, I would consider buying it. Oh well, its cool. @XCWarrior: I know! I'd kill for a full retail release. Ah well. I shouldn't let that get in the way of enjoying the game. The guy they have doing Marty's voice us spot on. I'm so excited, I can't wait, December never seemed as far away as it does now. Right when I heard, "Great Scott!" I got shivers down the back of my spine. Oh to be a little kid watching those films over and over again. After the great Tales of Monkey Island and the amazing SBCG4AP, I have high expectations for this game!! Is this game working at 1.21 gigawatts?